Jessica, a woman living with HIV, talks with her provider, Nina Lambert, RN BSN, about wanting to have children. Jessica has not disclosed her HIV status to her partner because she is concerned about physical violence and the possibility of her partner leaving the relationship. She has an undetectable viral load. Nina talks about TasP (Treatment as Prevention), a highly effective HIV prevention method where the partner who is living with HIV maintains an undetectable viral load.. They also talk about the risks of vertical transmission (chance the virus would be passed to the baby). Nina invites Jessica to bring her partner in for help with disclosure, and they discuss PrEP (Pre-Exposure Prophylaxis, brand name Truvada), a highly effective one pill once a day HIV prevention method. Nina and Jessica also talk about condom use, and other contraception options. Jessica says that she sometimes uses condoms, and that she is ok with a surprise pregnancy. 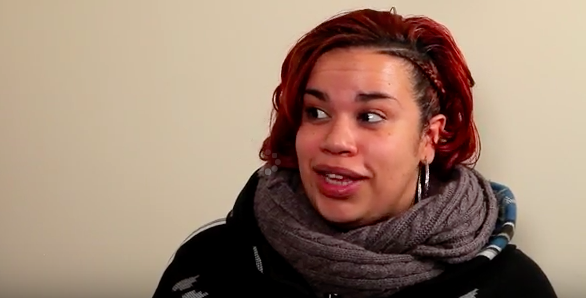 This film is part of a reproductive justice video series created as a collaboration between HIVE (www.HIVEonline.org), AIDS Foundation of Chicago (http://www.aidschicago.org/) and MHPPPI (www.mhpppi.org).